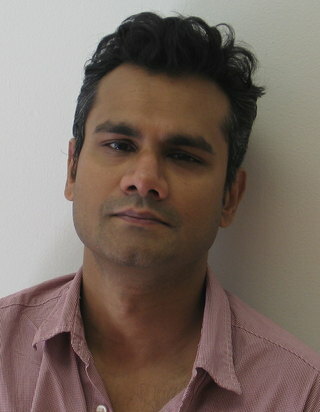 Text of the introductory presentation made by Dr. Thushara Hewage, Assistant Professor of Anthropology at the University of Ottawa at the seminar on The Politics of Memory and a Critique of Transitional Justice held on Wednesday 3rd June 2015, at Department of Political Science and Public Policy, Faculty of Arts, University of Colombo. The pieces we are reading today concern David Scott’s meditation on the experience and traumatic memory of the catastrophic failure of revolution on the Caribbean island of Grenada. The very basic timeline of events is as follows. The revolution commenced in 1979 with the overthrow of the authoritarian regime of Eric Gairy. It was led by the Marxist Leninist New Jewel Movement (NJM), its foremost leaders Maurice Bishop and Bernard Coard. Tensions within the ensuing socialist government and its leadership, no doubt exacerbated by the CIA’s destabilization, precipitated a crisis. This began with the arrest of Bishop and culminated in his killing along with his associates under unknown circumstances. Bishop’s murder supplied the pretext for the US invasion of Grenada in October 1983, and the arrest, show trial and imprisonment of the Grenada 17 for conspiracy to murder Bishop, and the criminalization and delegitimization of the revolution. I should add that the Grenada 17 consistently denied their criminal liability for Bishop’s murder and were eventually freed in 2009, following a 2007 Privy Council judgment on the unconstitutionality of their sentencing. I have been asked to speak a little about David Scott’s work insofar as it bears on Omens of Adversity, but also the study of Sri Lanka. I want to first foreground the idea of revolutionary time, which occurs in chapter 3. This is a specific generational experience of time, a relationship between past-present-future, common to those who lived during and found themselves through revolution. Within this experience, the future was lived as expected horizon of emancipation, immanent in a present already transforming from an oppressive past. 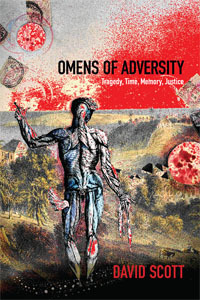 Omens of Adversity deals with the consequences of the suddenness of the disappearance of that temporal structure following the US invasion of Granada. I want to come full circle as it were by locating how this understanding of revolutionary time arises in Scott’s work, as I think there’s more to it than these readings alone suggest. To do so though, I’ll need to outline some aspects of his earlier work. As many of you I’m sure are aware, Scott’s earliest work was in the anthropology of Sri Lanka. His first book, Formations of Ritual, was an exploration of the location of yaktovil and yakku within the Sinhala Buddhist tradition. What is most striking about that book is how Scott illuminates anthropology’s uncritical reproduction of colonial concerns with Sinhala Buddhism, especially in the equation of yakku with demonism and yaktovil with exorcism. After 1983, in the work of scholars such as Bruce Kapferer, these concepts underpinned deceptively compelling explanations for the ontological, culturally rooted character of Sinhala violence against minorities. In order to avoid this kind of ideological reproduction, Scott insisted anthropology should be more conscious of its own status as a form of local knowledge, that investigates the historically constituted discourses of others using concepts, such as culture, that have their own disciplinary histories. So already in his early work, and in conjunction with other critical postcolonial work, we can see Scott’s focus on the politics of knowledge production and methodology. But it’s not just a question of anthropology or any discipline’s endorsement of an externally located politics of left or right. It’s also about the status of disciplinary inquiry as a form of discourse and thinking through which we apprehend and represent the world. That is, a particular language in its own right with its own internal changing compulsions of objects and problematics, related to shifting stakes. So, for example, if we wish to study Sri Lanka critically, we have to be aware of a certain discursive inheritance. We have to ask how Sri Lanka has been paradigmatically constituted in previous academic work, through which disciplines, using which concepts, with regard to which changing political commitments and events. This concern with the strategic nature of critical inquiry is explored in Scott’s second book, Refashioning Futures, published in 1999. Here he understands the context of intellectual work as a “problem space,” a field of ongoing moral argument (about Sri Lanka for instance), comprising historically changing questions, the political stakes involved in asking these questions, and their answers. Within this space, what is under discussion (Sri Lanka, Sinhala Buddhism etcetera) are not in dispute. But what is argued over are what kinds of questions one should ask about them. And because problems are not timeless, questions change. Because the political-ideological stakes involved in asking them are never static. Scott’s own problem space in Refashioning Futures is relevant for our concerns today. It is a moment he termed “post Bandung.” We might call it “post-revolutionary time.” It is characterized by the exhaustion of 3rd World anticolonial and secular modern state socialist projects, by loss of faith in the progressive realization of the political community of the nation-state, and a questioning of the political vocabulary which accompanied it. In this book he observed how anticolonialism’s political vision still continues to animate postcolonialism’s questions. Primarily, a romantic, anticolonial narrative of emancipation framed postcolonialism’s conceptualization of colonialism and its legacies as an object to be overcome, and directed its recovery of oppositional subaltern agency and resistance to an extractive power. While of course vital to a range of contemporary activist strategies, Scott argued that this approach no longer held the same critical discursive traction in a post Bandung present. Instead in this series of essays, he pursued a different strategy, rehistoricizing the Sri Lankan past to investigate how colonialism had actually constituted fundamental aspects of Sri Lankan political modernity, most fundamentally the democratic categories of minority and majority. His more recent work, most notably Conscripts of Modernity, has again explored the intimation that tragic time, more accurately characterizes the impasse of the postcolonial present, in which old horizons have evaporated and new ones are still emerging. So I’ve focused on Scott’s evaluation of the intellectual consequences for postcolonialism of the dissolution of romantic and revolutionary time. Scott’s suggestion is that although we ourselves may not belong to a revolutionary generation, may have no lived experience of revolution, our political concepts comport more with that epoch. The question that then arises is what form of temporality and what sorts of concepts adequate more with the experience of a stalled postcolonial present? Scott moves to an answer in Chapter 3 of Omens of Adversity. The contrast here is between mourning as a form of “reparative remembering” which enables a productive release from an ideal, and on the other hand paralyzing nostalgia which maintains the object as a source of wounding attachment. Each of course correspond to necessarily distinct lived, temporal experiences. Nostalgia is the lot of that generation which lived the revolution and experienced the sudden, permanent loss of its very organization of time. Its ensuing paralysis and shame is focused on recrimination and the desire to punish those responsible for Bishop’s murder and the disappearance of the future. The possibility of mourning is however latent in the succeeding generation, born in the aftermath of revolutionary ruin, with no revolutionary expectation of time. Their different inheritance of the event, enables them to act differently on it. Although Scott locates this possibility in the project of the students who produced Under Cover of Darkness, he says less about what their differently mediated re-membering of the event might consist in. Elsewhere in the book though, there is a suggestion that it resides in an acknowledgment of the potentially tragic dimensions of political action. In the conflict between Bishop and other leaders of the NJM, Scott intuits a truth of the inherent vulnerability of political action to reversal and undesired outcomes, whatever our self-understanding as self-possessed actors. Tragedy as he puts it issues from “the collision of actions which are one-sided in their attachment to their own justifications and consequently unyielding to the justifications of others” (22). If we grasp this, we might cultivate the virtues of “modesty and responsibility,” key elements of what he terms “a critical political sensibility” (23), and vital to the possibility of forgiveness.